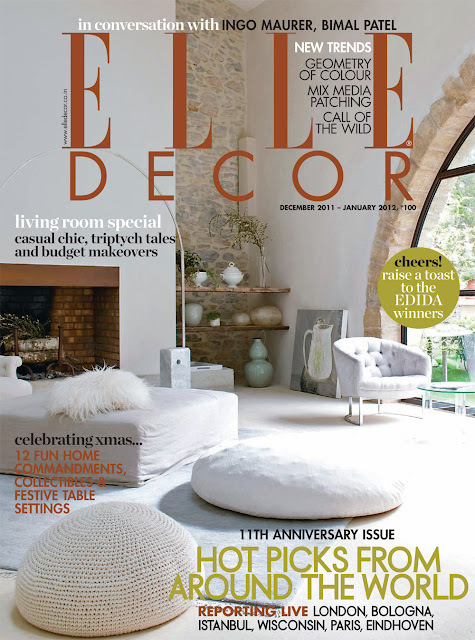 Elle Decor India is one of 25 worldwide editions of the highly sophisticated interiors magazine and has a circulation of over 50,000 copies. 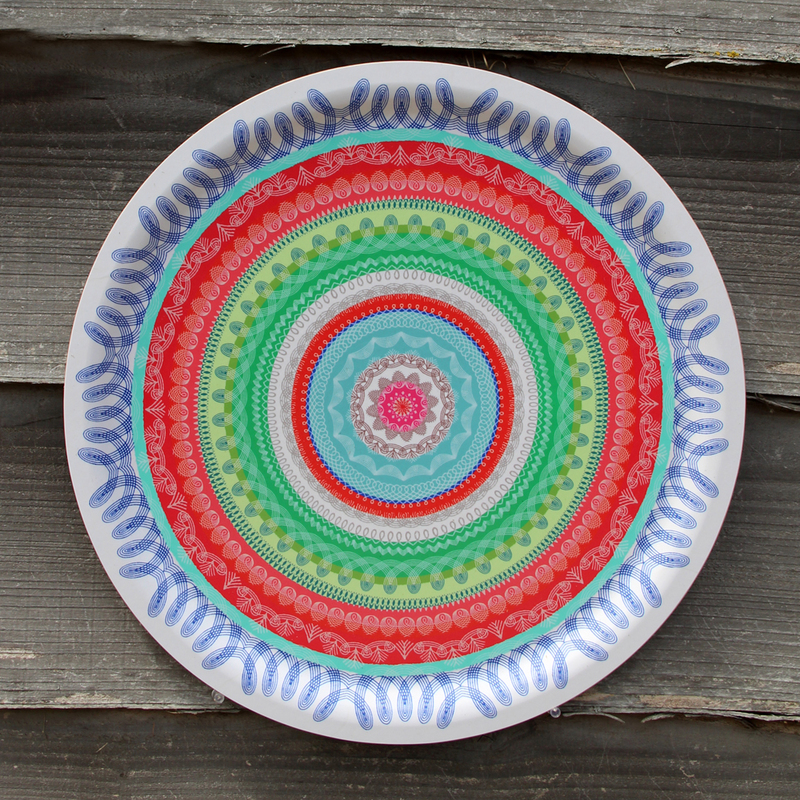 It's hard to get hold of here but I would love to have a proper look at it as looking at design from a different cultural viewpoint is always healthy. It's interesting to see that the magazine cover could be European or American which goes to show how incredibly global design has become. 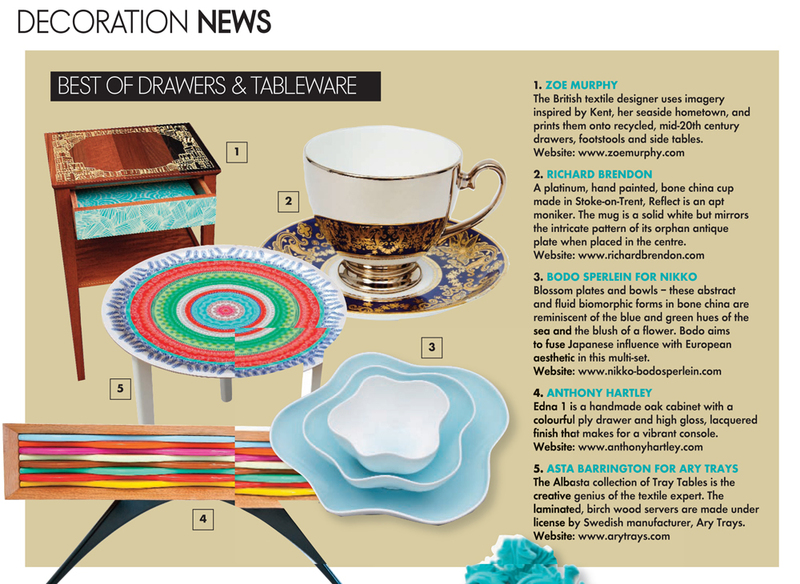 The editors have been keeping a close eye on European trends for this issue in particular and it's lovely to see the Alabasta 49cm Folk Stripe tray table featured in their news section. The foldable wooden legs can be bought separately in white or beech and the tray simply rests on top.